Our 6 oz mason jar candles are made with an all-natural coconut wax blend with organic coconut oil. The wicks are made of 100% unbleached cotton and are lead-free. The candles are infused with organic or all-natural essential oils and botanical extracts. Free shipping with a $70 minimum order in the U.S.A. These lovely mason jar candles are hand-poured in small batches right here in beautiful Westlake Village, California. Cherry Sandalwood Vanilla, Honeydew, Lavender Rosemary, Lavender Vanilla, Lemon Creme, Lemongrass, Orange Cinnamon Clove, Orange Vanilla, Patchouli Cedarwood, Pomegranate, Rosemary Grapefruit Lime, Spicy Geranium Verbena, Sweet Orange Ginger, and Vanilla Black Currant. 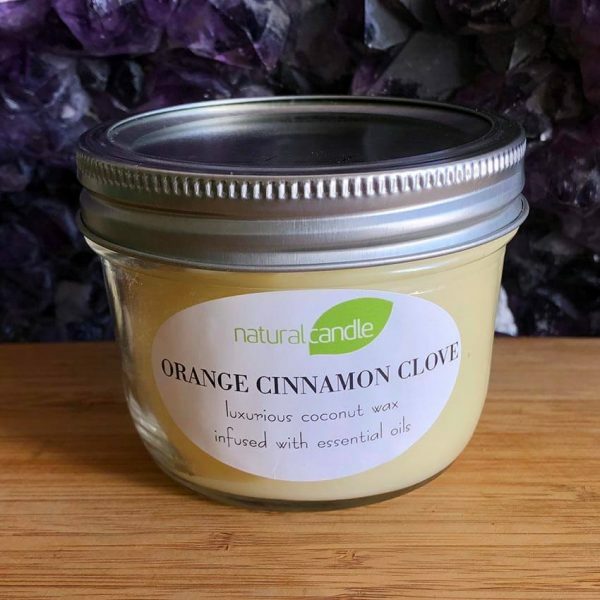 If you are local to the Los Angeles Area, you can find the hand-poured Natural Candle Collection in gift shops, natural food stores like Erewhon Markets, Follow Your Heart, Sea Lily floral shop in Malibu, and others. But don’t worry if you’re not in the area, we can ship anywhere! Please allow two business days for us to freshly hand-pour your candles and carefully package and prepare to ship. Our preferred shipping method is via Priority Mail. Free shipping in the U.S.A. with a $70 minimum order. Are you looking for the perfect gift for a friend or loved one? Try a beautifully scented Natural Candle. They are also great for bridal shower gifts, centerpieces for weddings, bar mitzvah, bat mitzvah, and any other special event. Ask about our discounts for large orders. Are you looking for cool promotional business swag or gifts to give to your clients or potential clients? Try a private label Natural Candle. We make the candles with your choice of scent and container. A customized label can be created on the bottom of the candle with your personalized sentiment or greeting. There is a minimum order for private label candles and freight is FOB Westlake Village, CA. If you’re in the Los Angeles area, we’ll deliver to your business. 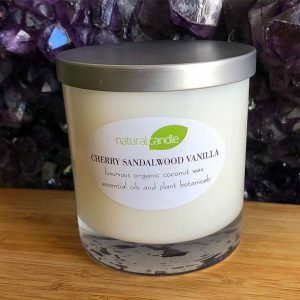 If you would like to carry the Natural Candle Collection in your retail store, please use the contact form at the bottom of this page or call 818-706-1888 and we will contact you. A valid resale permit is required.